Missing Communism? 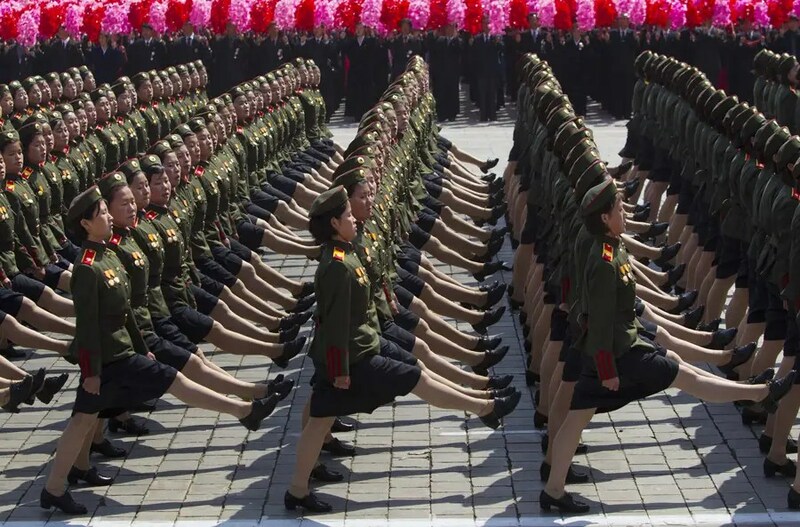 Visit North Korea! A Socialist Wonderland! In The Economist this week an intrepid reporter accompanies a group of Chinese tourists into the top part of North Korea, just past the border with China. These Communist Party members mourn the days gone by – back when the state provided and free enterprise was forbidden. Today ordinary Chinese have to work to survive and many are forgotten in a country overtaken by business. It really does sounds like, ehr, nothing to envy! But change can force strange bedfellows. You may not like where you are but in retrospect the “good old days” like, uhm, good. In 2003 the German film “Goodbye Lenin” told of a passionate Communist mother falling into a coma just before the Berlin Wall collapsed. Her doctor says any shock could kill her – so when she wakes her children go to absurd lengths to recreate for her the life of an ordinary East German. So maybe it’s not unusual for Chinese to miss the “good old days” of state-run enterprises, free healthcare, guaranteed housing, low-cost food and all the other benefits. In America I have friends who listen to nothing but “classic rock” radio stations. They miss their gas guzzling muscle cars and cell phone-free existence. Imagine the good old days before Facebook? Perhaps there’s an opportunity here. Maybe we can run tour groups into North Korea to experience all that has been lost. We can air drop in Tori Spelling and others for a round of “I’m a Celebrity – Get Me Out of Here.” The obese can experience below-subsistence diets as ways of removing unwanted pounds. For those missing state planning and a derelict economy then North Korea is the holiday destination for you. It sure appeals to die-hard Communists from China!